Ea work in Automatic mode on EurUsd Time frame H1. 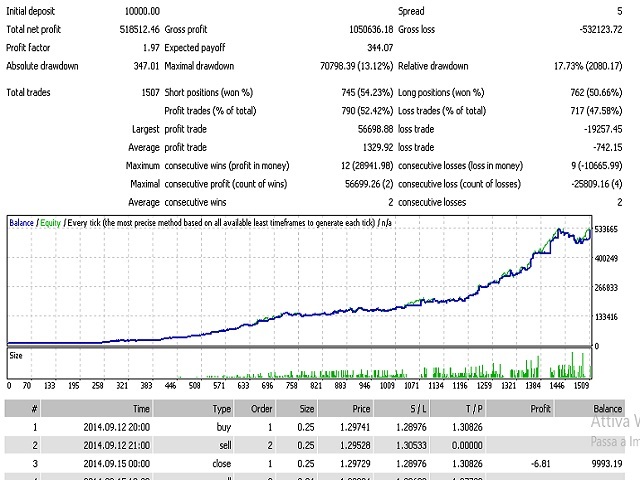 Strategy is based on more strategy working with auto stop loss and take profitt. Ea open and close trade separated for each strategy on more indicator. Ea work in long term strategy. Fix bugs on target profit.